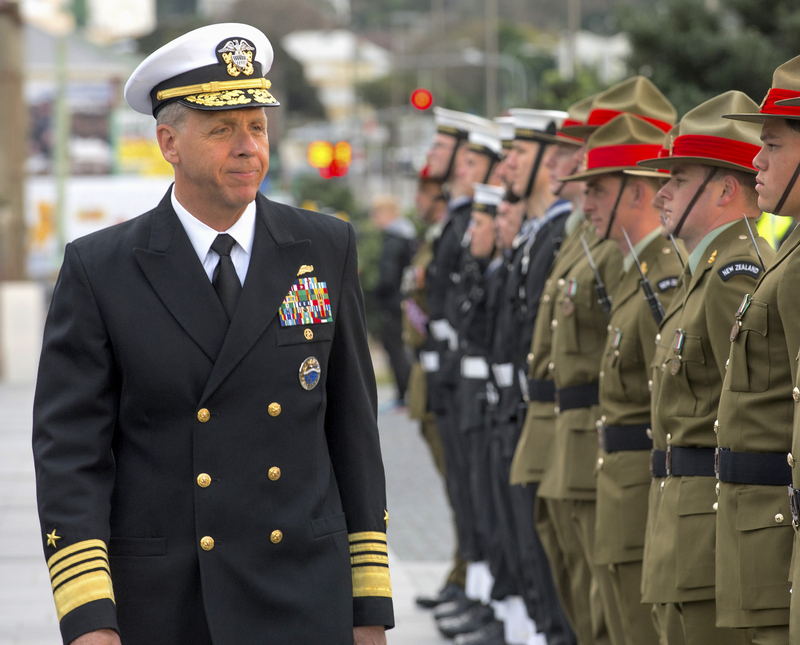 The head of U.S. forces in the Pacific has asked Congress to support several new initiatives to increase American military power in the region beyond what has been set aside in the Fiscal Year 2020 budget request, according to a March 22 letter obtained by USNI News. Last week, the Ministry of Transport of Latvia and companies from the transport sector took part in the China International Logistics Week in Xi’an. One of the most important events was the International Logistics Exhibition ‘China Western International Logistics Expo 2019, during which the Freeport of Riga signed a cooperation agreement with the Port of Qingdao in China. German seaports handled 304.7 million tons of seaborne goods during 2018. This is an increase of 1.7%, in comparison to 2017, as the German Federal Statistical Office (Destatis) announced in the beginning of this week. In addition, the number of goods which German seaports received from other ports rose by 2%. Moreover, the shipping of goods from German seaports over the world’s oceans grew slightly by 1.8%. BIMCO’s Chief Shipping Analyst, Peter Sand, launched the analysis ‘It’s the steel production, stupid!’, announcing the end of China iron ore cape run. 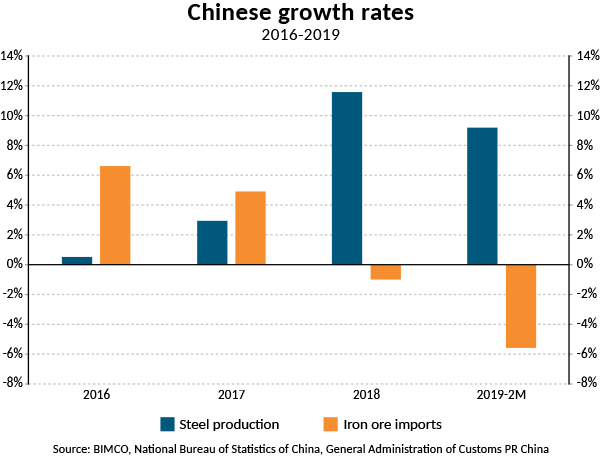 The analysis focuses on the fact that Chinese imports of iron ore are continuously decreasing, whereas the nation’s crude steel production keeps growing. China’s increased use of scrap metal for its production of crude steel is fundamentally critical to the dry bulk shipping industry. 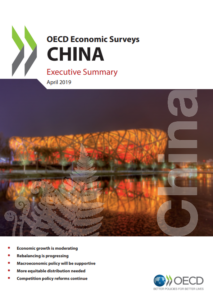 The Chinese economy is still slowing down as it rebalances, with headwinds including trade frictions and a weak global economy undermining exports and creating new uncertainties. Policy should highlight long-term strategies to advance the economy towards improving economic efficiency and ensuring that future growth is sustainable, greener and more inclusive, a new report from the OECD says. Switzerland will support China’s Belt and Road Initiative (BRI) as President Ueli Maurer visits China during April. This will ensure ties with a major trading partner as other Western countries view the gigantic project with scepticism.